This statistic shows the completed line length of electricity transmission projects in the United States from January to December 2018, by voltage. 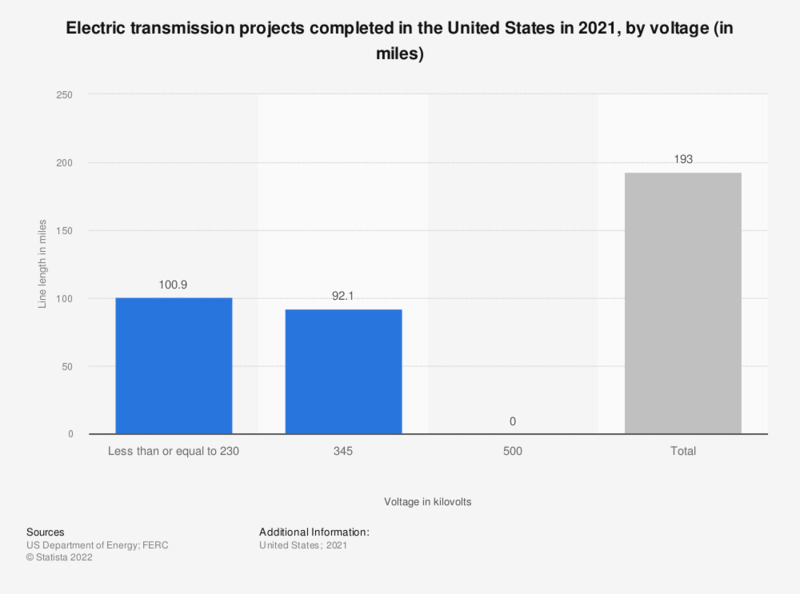 The length of completed transmission projects with 345 kilovolts amounted to 715 miles in 2018. * Between January and November 2017.